A neurotic little boy panics when he notices distressing things about this body, like losing hair, peeling skin, belly-button lint, and 'boogers'. 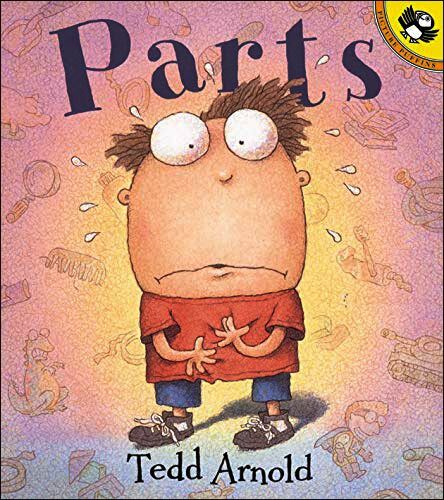 After pages of hilarious panic-ridden thoughts, his parents come along and explain that the body's "lost parts" renew themselves. After reading the book, discuss why our bodies would do those things. In our experience, kids are particularly interested in this discussion since they have experienced these things themselves. Here are a few sample pages from inside Parts by Ted Arnold. 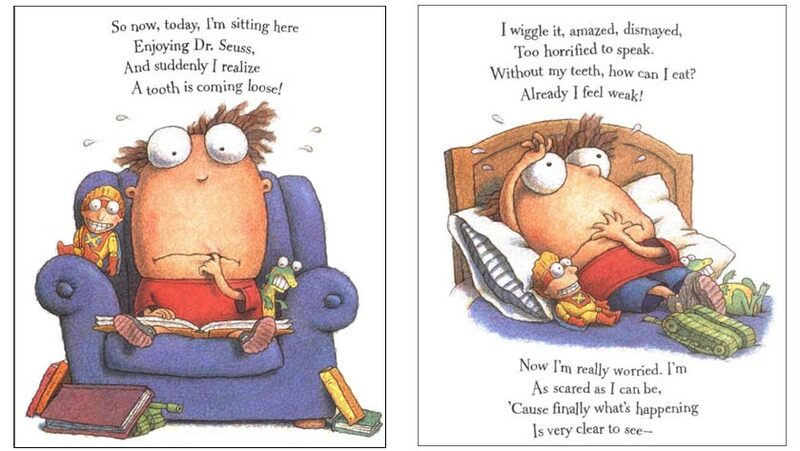 These pages show how this poor little, neurotic boy is consumed with worry over even the smallest bodily changes---even a tooth coming loose. Perhaps it sounds mean to be laughing at this little boy's worries, but trust us...it's actually quite funny because he worries over very small things that your students will find hilarious, especially since they have likely experienced--and weathered-- the small bodily occurrences and changes that so worry the main character.